Car involved in Lower Beeding head-on crash. A driver who was involved in a crash while travelling on the wrong side of the road has been banned from driving, police have said. 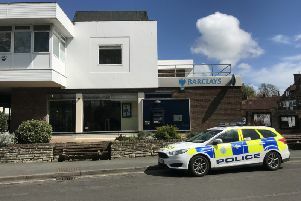 In a statement Sussex Police said that John Hatton, an insurance broker, from Abu Dhabi, was involved in a head-on collision in Lower Beeding on Saturday (July 29). Police said the 45-year-old, who has been a UAE resident for the last 17 years, was driving a white Vauxhall Mokka northbound on the wrong side of the A281 when his car collided with grey Landrover Discovery. The crash took place close to the junction with Picts Lane, at about 5.55pm. Both vehicles were badly damaged. Police said Hatton and his passenger, a 38-year-old woman also from Abu Dhabi, sustained serious injuries and were both taken to East Surrey Hospital in Redhill. The driver of the Landrover, a 71-year-old man from Arundel, suffered minor injuries. Hatton pleaded guilty to dangerous driving at Crawley Magistrates’ Court on Monday (July 31) and was disqualified for 14 months. He is also required to take an extended retest before he gets his licence back, and was fined £2,880, and order to pay £85 costs and a £170 victim surcharge.